Lake Batur offers beautiful landscape with volcanic eruption rocks. This amazing lake is the largest lake in Bali and shaped like the crescent moon. Visitors also can enjoy the beautiful geodiversity from Batur Volcano such as hardened blocky lavas, lava flows, lava stream, tumuli and other geological beauty. The Lake is flanked by two great mount, Mount Batur and Mount Abang, and located in the circle of Batur Caldera. This place also offer the visitor an activity of mountain trekking. The water temple of Pura Ulun Danu Batur and Lake Batur has been designated by UNESCO World Heritage Center (in Cultural Category) as a Cultural Landscape of Bali. The beauty of Lake Batur, the mountain and its caldera combined with the coolness atmosphere, give the visitor an incredible experience! Lake Batur is situated in the District of Kintamani, Bangli Regency, Bali. Visitor can access this place directly from Ngurah Rai International Airport, about 75 Kilometers (2 hours) through Jalan Prof Ida Bagus Mantra. Let's take a closer look to the amazing landscape with volcanic eruption rocks at Lake Batur! Lake Batur Bali is very sacred and respected by the local people especially the Balinese people. Local resident’s majority living from agricultural and fishing. Lately, the tourism sector gives the large-enough impact to their live. Located in the District of Kintamani, The Lake is influenced by Very Wet Region Climate or A type climate (based on Schmidt-Ferguson) at the southern side and Wet Region Climate or B type climate (based on Schmidt-Ferguson) at the northern side. Heavy rainfall on January, February and April. The district of Kintamani is situated at an altitude of 500-2.152 meters above sea level and has a cool temperature. Lake Batur Bali lies down at the feet of two great mount, Batur Volcano and Mount Abang. The Lake is a great place for day trips, mountain trekking or just to get away from the hectic situation. Batur Caldera is situated in the village of Kintamani Bali. This Caldera is part of GGN (Global Geopark Network) and one of the most beautiful caldera in the world. The caldera has a size of 13,8 x 10 kilometers and the smaller caldera is formed at its center with diameter of 7,5 kilometers. The Volcano itself is located inside of this vast caldera with the highest point (Mount Batur) of 1.717 meters above sea level. Lake Batur offers an amazing landscape with volcanic eruption rocks. A volcanic eruption occurs when hot materials are thrown out of a volcano such as lava, rocks, dust, ash and gas compounds. The volcanic rocks is formed from magma erupted from a volcano during the volcanic eruption. Lake Batur Bali and its surrounding area is a place for unique geodiversity such as hardened blocky lavas, lava flows, lava stream, tumuli and other geological beauty. It also offer the visitor an activity of mountain trekking. This activity can be done on Batur Volcano, next to this lake. Ulun Danu Batur Temple is located in Kintamani Bali, at the rim of Batur Kaldera which is one of the important temples in Bali. This temple is dedicated to the goddess of the lake, Ida Betara Dewi Ulun Danu, as ruler of lake and river that giving water to life. Formerly, Batur village and The Temple is located at the foot of Gunung Batur. But after the Mount Batur eruption in 1962, then the location move on a higher place on the rim of The Caldera at its current location. Puncak Penulisan Temple is located in Sukawana Village in the District of Kintamani, Bangli. This temple is situated in Penulisan Hill at an altitude of 1.745 meters above sea level. The temple is considered to be very old and keep the mystery of history that is still unclear. Has up to 11th terraces leading to the temple which is a special series of Megalithic age. Puncak Penulisan Temple also save the relics of ancient from the era of the Ancient Balinese Kingdom. Various relics, statues and linggam associated with the Queen Mahendradata (Quenn of Udayana Warmadewa). Mount Batur or Gunung Batur is classified as active volcano with an altitude of 1.717 meter above sea level. Gunung Batur is very sacred and respected by the community, especially Balinese people. At the time of certain ceremonies are held, the climbing and trekking activities is often being restricted. Mountain trekking in Batur Volcano is one of the most challenging mountain trekking activities in Bali. It will take you around 1.5 or 2 hours to climb the mountain (depending on the condition of your body). Visitor can see a glorious sunrise, stunning morning views (the surrounding crater, Lake Batur Bali, and of course the cool mountain atmosphere. Visitor can enjoy one lifetime experience of mountain trekking to the top of Batur Volcano. From the top visitors can see the beauty of Lake Batur, Mount Abang and Terunyan Village (located across of The Lake). The visitors usually make the climb at pre-dawn and reached the top before the sunrise. Batur Volcano has a crater that still exhaling smoke of sulfur. There is a path/track at the edge of the crater so that visitor can walk around it. Through the downward path/track, visitor will arrive at the location, a broad enough flat ground at the slopes of Mount Batur, to take a rest for a while. There is a lot of small hole with a hot sulfur fumes and often used as a place to cook eggs. Fun of course, but also reminds us of how active the volcanic activity at this volcano. Kintamani coffee as renowned as kintamani oranges has planted on this area which consist of two species, Robusta dan Arabica. 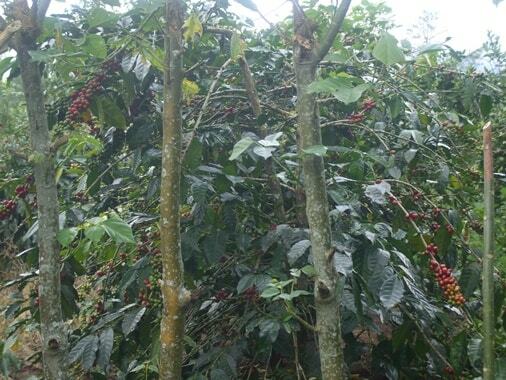 Arabica Coffee produced by wet processing and give the unique taste.of Mountain Coffee. It has a geographical indication (GI) certification and known as Kopi Arabika Kintamani. Oranges are the famous fruit in Kintamani Bali. 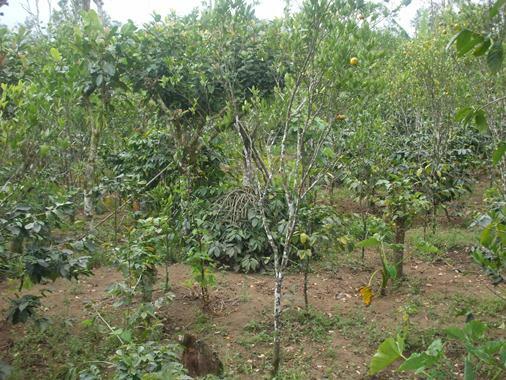 Visitor will see the oranges plantation along side road and there are many street-side vendor selling this fresh fruit. This oranges is called Jeruk Kintamani. Penelokan is the best place to see the Batur Caldera with vulkanic boulders and other material that encircle the Batur Volcano. This place is located at the south-west of Batur Tengah Village. The main thing that visitors can see from here is the beautiful panorama of Batur Volcano, Lake Batur and Mount Abang. In this location there are plenty of restaurant and acommodation with direct view to this volcano. While sitting and enjoying a cup of kintamani coffee, visitors can order food or drink, enjoy the coolness of weather and exotic panorama of Batur Volcano or Gunung Batur. Toya Bungkah village is located in Batur Caldera and flanked by Lake Batur and Gunung Batur. Visitors will be treated by a exotic view of chunks of volcanic rocks and other vulkanic material along side the road to the location of hot spring pool, Toya Bungkah. Toya Bungkah offers visitors an experience of soaking in a hot water bathing pool while enjoying the beauty of Lake Batur Bali, Gunung Batur and Gunung Abang. Hot spring location is managed by Desa Pekraman Batur. The content of sulfur and mineral volcanic offers many benefits to the health and well worth a try. Trunyan Village is a village of Bali Aga or Bali Mula. Located across the Lake Batur. 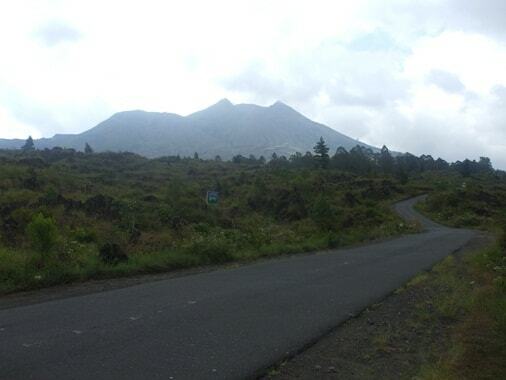 Its location give the different panoramic view to Mount Batur. People in Terunyan Village is very isolated. No road or pathways along the caldera rim. Access to this place only could be done by renting a boat from Toya Bungkah. Its main attraction is the cemetery. People in Terunyan Village do not cremate or bury the dead bodies, they just put it under the "Menyan Tree" encircled with bamboo webbing. Lake Batur Bali offers a unique experience of exploring the waters of the volcanic crater with canoe. Visitors can enjoy the beautiful scenery of Mount Batur, Mount Abang, Caldera Wall, scenery and activities around the lake. For this service, you can take package tours. The tour involves local communities and some part of the profit is used for the development of the education. This service is accompanied by a nice and good instructor. This would be the most culturally insightful and genuine experience during your holiday in Bali. Visitors can interact directly with the local community and learn about the cultural norms and customs of the village people. Truly a great day! 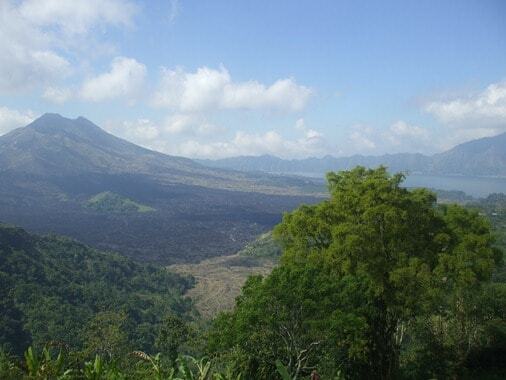 Batur Caldera is designated as UNESCO Global Geopark Network (GGN-UNESCO) in 2012. The Geopark is an area that has Natural Heritage Value (Geology). The concept of geopark is a blending of three natural diversity which consist of the Diversity of Geology, Biodiversity and Cultural Diversity. Geopark concept is developed in a sustainable manner. This concept intended for the construction and development of people's economy based on the diversity. The diversity owned by Batur Geopark include the Beauty of The Caldera, Ancient Batur Eruption, Unique Biodiversity (forest, oranges and coffee plantation, monkey and kintamani dog), and the Cultural Diversity (Trunyan Village with its burial culture). The water temple of Pura Ulun Danu Batur and Lake Batur has been designated by UNESCO World Heritage Center (in Cultural Category) as a Cultural Landscape of Bali. 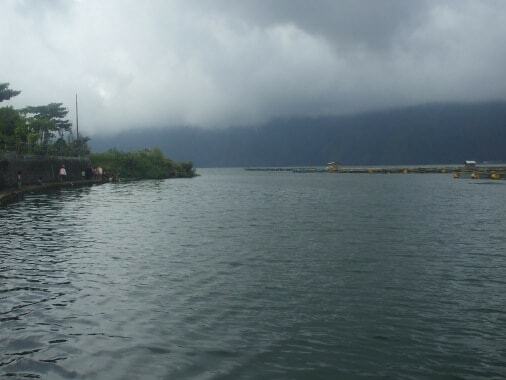 Lake Batur Bali is part of Subak System in Bali as a manifestation of the Tri Hita Karana Philosophy. # The Supreme Water Temple Of Pura Ulun Danu Batur on the edge of Lake Batur whose crater lake is regarded as the ultimate origin of every spring and river. # The Subak Landscape Of The Pakerisan Watershed the oldest known irrigation system in Bali. # The Royal Water Temple Of Pura Taman Ayun, the largest and most architecturally distinguished regional water temple, exemplifying the fullest expansion of the subak system under the largest Balinese kingdom in the 19th century. Subak as the cooperative social system that controls the water have together shaped the landscape over the past thousand years and are an integral part of religious life in Bali. Water temples are the focus of a cooperative management of water resource by a group of subaks. Since the 11th century the water temple networks have managed the ecology of rice terraces at the scale of whole watersheds. Take your time to Travel to Lake Batur Bali. Hopefully helpfull and thank you!